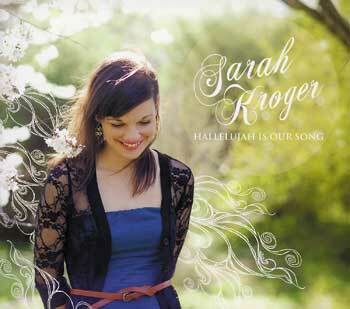 Sarah Kroger is a gifted young singer-songwriter who has long been involved in music ministry and Catholic service. She’s got two impressive solo albums and has appeared at a number of national and international events, including World Youth Day 2014 in Brazil. In the short time she’s been composing and performing, Sarah has participated in a number of national and international events, including the JubilMusic International Christian Music Festival in San Remo, Italy; the Atlanta Eucharistic Conference; Steubenville conferences and World Youth Day 2014 in Brazil. She also leads youth, confirmation and women's retreats and workshops on prayer and leading worship on the parish level. Her goal as a worship and event leader is to create a space that opens the door for people to encounter God in an authentic, personal way. What time of year are you interested in? If you're looking for music to rejoice and celebrate God's love, look no further than Sarah Kroger's Hallelujah Is Our Song. An inspired collection offering both liturgical and contemporary songs, this positive, energetic music will fill your heart and lift your spirit. Sarah's sophomore release reveals a greater maturity from her as both a singer and songwriter. Collaboration with veteran musicians Sarah Hart and Josh Blakesley (continued from her first release, Your Time) brings forth deep and touching lyrics that speak to any Christian soul. Piano and guitar work together with Sarah's distinctive warm vocals to deliver a one-of-a-kind listening experience. Inspired by scripture and her own life experiences rooted in parish ministry, Hallelujah Is Our Song features music for liturgy, personal prayer and beyond. The CD features creative interpretations of liturgical classics like "The King of Love My Shepherd Is" as well as songs that communicate messages of devotion and joyful worship such as "Letting Go" and "I Will Pour Out My Heart." The energetic title track, "Hallelujah Is Our Song," celebrates the joy and newness of Easter. Sarah's undeniable elegance, delicate femininity and intimacy with our God shine through in every selection of this 7-track release. Taken together, they inspire a deeper understanding of ministry. Whether you are looking for approachable contemporary Catholic music for liturgy or prayer or just appreciate a fresh take on traditional liturgical music, look no further than Hallelujah Is Our Song! Also available as an MP3 playlist. All of us struggle with questions about God's will. We ask, "Why did this happen to me now?" "Why didn't this work out?" In her debut album with Spirit & Song, Sarah Kroger reminds us that though our lives may not always unfold as we plan, God has a time and a reason for everything. Produced by Josh Blakesley, Your Time features an organic, indie-folk sound that carries Sarah's tender voice to the hearts and ears of the listener. Each of her five originals—co-written with Josh, Sarah Hart, as well as Hillsong's Mia Fieldes ("Run to the Cross")—exemplify poetry in prayer, along with a stirring rendition of the popular "Revelation Song." Bearing testimony to the perfection of God's timing, the title track also captures Sarah's personal call to ministry. "Run to the Cross" echoes St. Paul's invitation to embrace and draw toward this embodiment of freedom, instead of retreating from what is often regarded as a symbol of pain. Quirky and light-hearted, "Impossible Things" praises our all-powerful God as our source of strength in the face of hopelessness. Whether you're looking to breathe new life into the liturgy, energize praise and worship events, or nourish your individual journey of faith, Sarah Kroger delivers an impressive collection of songs that move the heart and resonate with both young and old. This is the MP3 playlist for the enhanced CD Hallelujah Is Our Song. This is the MP3 playlist for Your Time. All of us struggle with questions about God's will. We ask, "Why did this happen to me now?" "Why didn't this work out?" In her debut album with spiritandsong.com, exciting new artist Sarah Kroger reminds us that though our lives may not always unfold as we plan, God has a time and a reason for everything. 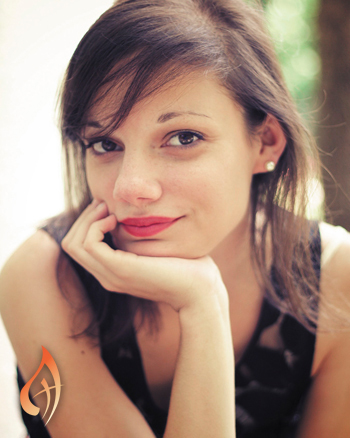 Sarah Kroger is a gifted young singer-songwriter who has long been involved in music ministry and Catholic service. She started composing music at Rollins College where she graduated with a degree in vocal performance. Nurtured by veteran composers Josh Blakesley and Tom Booth, she began sharing her gift of song publically at Life Teen camps and conferences. In 2011 she released her first EP, Your Time. Inspired by Scripture, the writings of the saints and her own life experiences, Your Time illuminates a God who is an active part of our lives. In 2012, she released Hallelujah Is Our Song, an inspiring collection of music for liturgy, personal prayer and beyond. With sincere and organic vocals, Sarah's music conveys a vital message of hope and serves as a reminder of God's unending love for us. Sarah currently resides in Atlanta, Georgia.